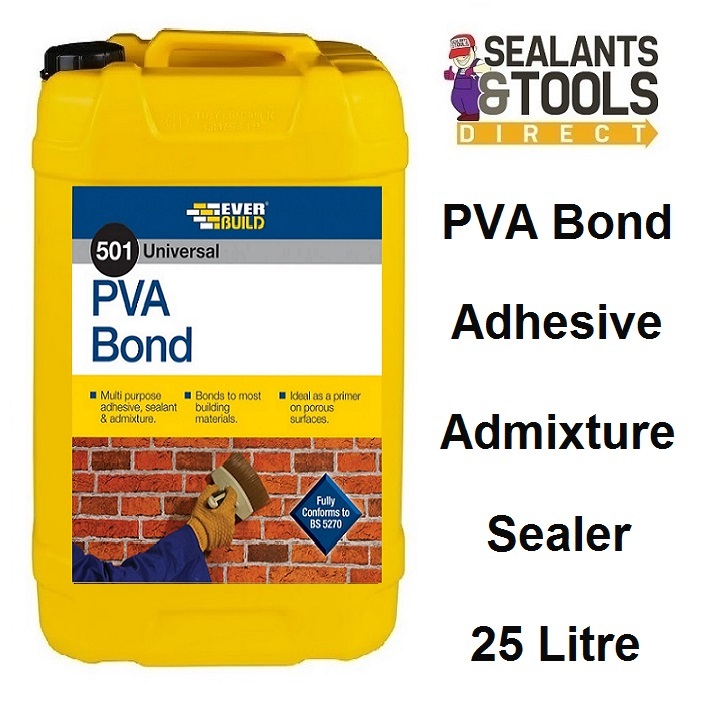 Everbuild PVA Bond has been designed specifically for use in the building industry as a general purpose bonding agent, and additive for concrete and plasters and as a multi-use adhesive. Improves flexibility of sand cement products. Greatly improves adhesion to a wide range of substrates including dense concrete, glass, steel, tiles etc. Mixes may be applied in much thinner sections resistance to salt permeation.